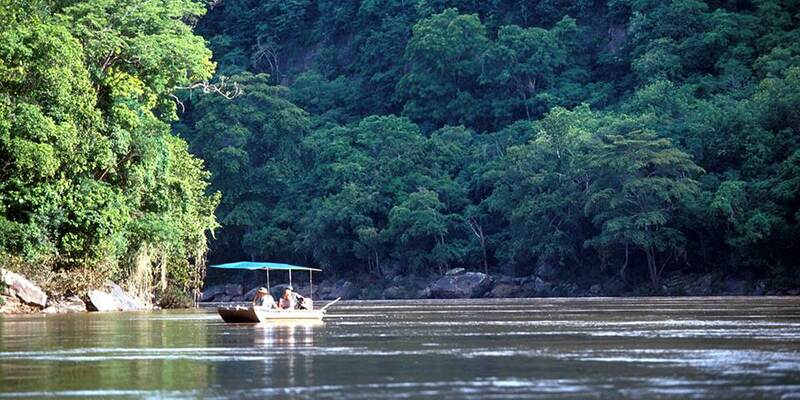 Set on a sweeping curve of the great mile-wide Rufiji River, Sand Rivers Selous is an idyllic place from which to explore the untamed Selous wilderness. 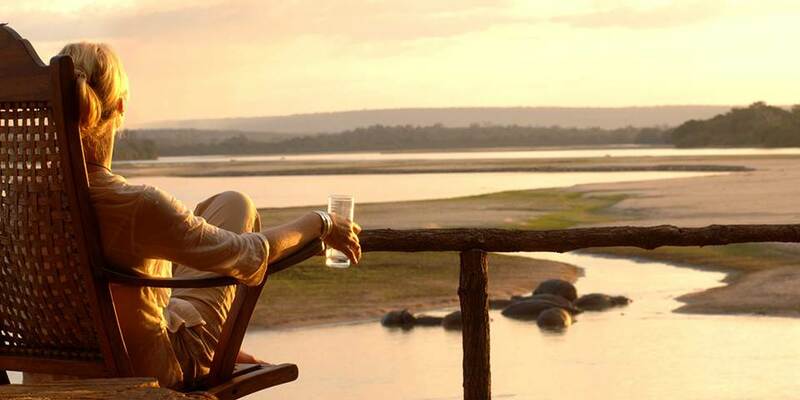 Activities include game drives in the Selous, game viewing and bird watching whilst drifting downstream on the Rufiji River, tiger fishing and fly camping. 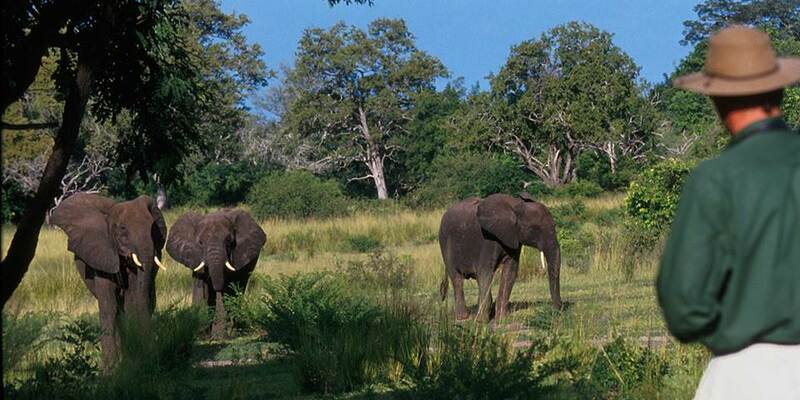 In addition to the comfort of Sand Rivers Selous, walking safaris are also offered in the northern part of the Selous Game Reserve. 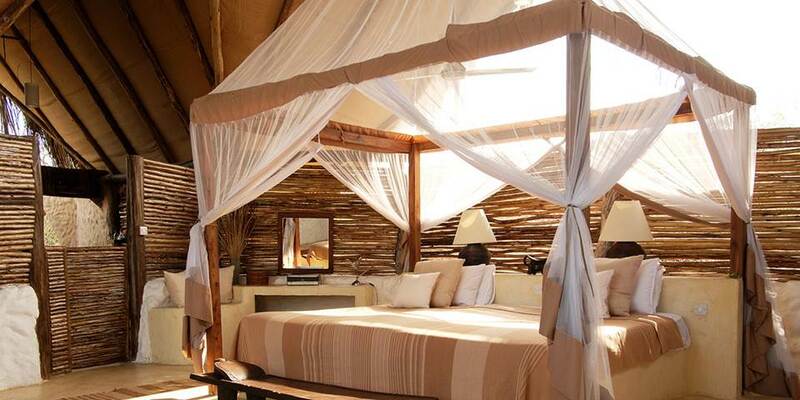 It is the quality of its walking safaris that has earned Sand Rivers its reputation as one of the foremost lodges in Africa. 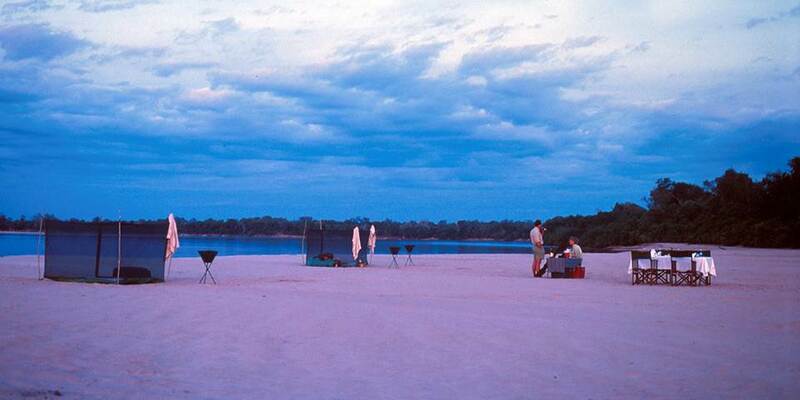 The walking safaris explore the remotest corners of the northern Selous area over a set period, each camping spot is specially chosen for its view or the game in the area and allows you to completely absorb yourself in the Selous wilderness. 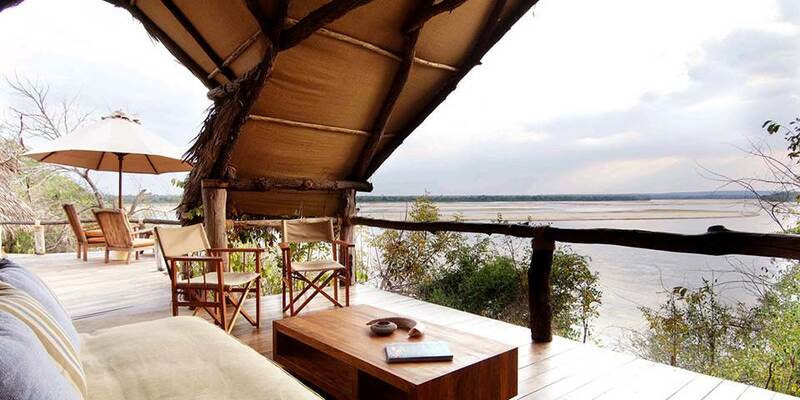 Eight spacious open-fronted cottages, built from stone and thatch, are raised on the banks of the Rufiji River, they are completely open-fronted and offer amazing views. 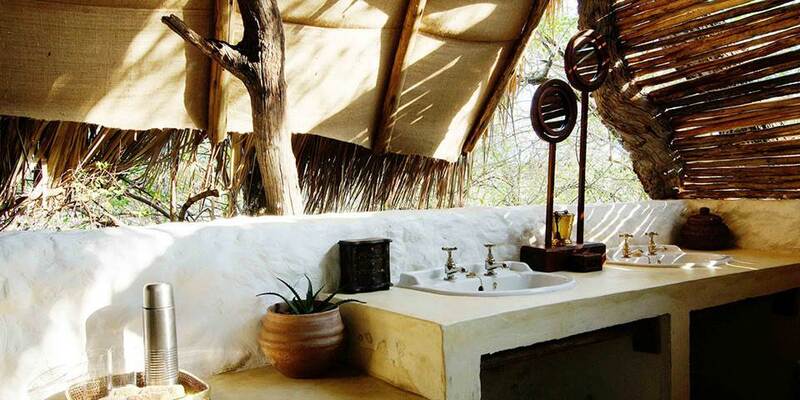 Each cottage has a large en-suite bathroom with flush toilets, and powerful showers with hot and cold water. 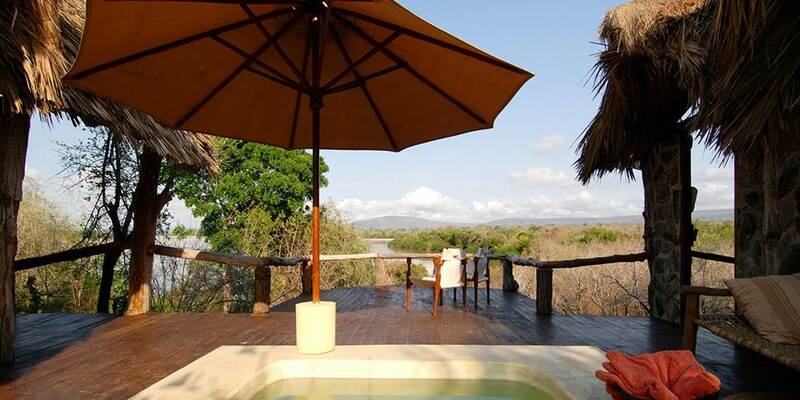 There are five Riverside Rooms and 3 Hillside suites; the suites each have their own plunge pool. 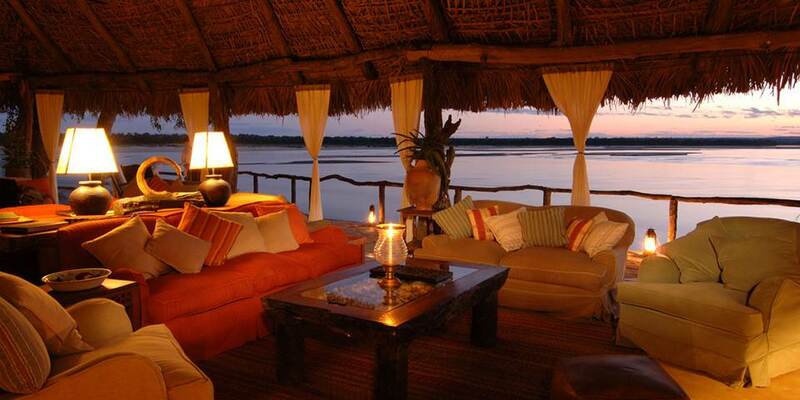 There is a large open-fronted mess tent and swimming pool set in the shade of a Baobab tree on the river’s edge.